Burnley boss Sean Dyche has confirmed Nick Pope has had a successful operation on his dislocated shoulder, but no timescale has been put on the goalkeeper's return. Pope suffered the injury during the first leg of the second-round qualifier against Aberdeen last Thursday, and was taken off in the 14th minute of the 1-1 draw at Pittodrie. 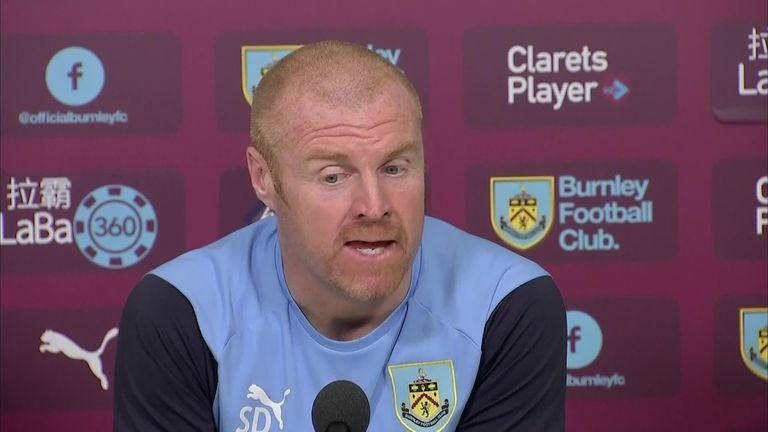 The England international will miss the second leg at Turf Moor on Thursday and Burnley will not rush him back to action. "He has had the operation," said Dyche. "It's so far pleasing news in that the specialist was happy with what he found and what has been done. "He was really pleased. When he went in it was as clean as he had hoped for because on a scan it is not as clear as seeing it with your own eyes. "I haven't spoken to Pope yet today because he was still recovering but I will speak to him later." Burnley have confirmed they have applied for UEFA dispensation to sign another goalkeeper following the injury to Pope. Anders Lindegaard is expected to start the second leg, with second-choice goalkeeper Tom Heaton yet to return from a calf problem. When asked if Thursday's second leg had come too soon for Heaton, Dyche said: "Probably. We will make a judgement call on it but we will have to wait and see." Dyche expects Aberdeen to show more attacking intent at Turf Moor as they look to overhaul Burnley's slim advantage in the tie. "The away goal scenario means they have to get something from the game, come out for the game," said Dyche. "Will they build on a defensive base and try and counter, and play off a big man? They might do. Could they open up the pitch? They might do. We don't know. "We're aware of what they have done against us and in pre-season but really the focus remains on us."